Apologies for the durth of posts around here recently. Life. Apologies also ahead of time for the brevity of this post, but, again: Life (and Holy Week). Today, being the Saturday before Palm Sunday in the Orthodox calendar, we celebrate the raising of Lazarus. I have written on this topic before, and therefore will kindly point folks to my thoughts from the last two years. Today is also the feast day of Eulogius the Innkeeper. He lived in the fourth century in Constantinople and would offer hospitality to wanderers. It seems to me that he would make an interesting model for an NPC, especially in a low-level campaign. 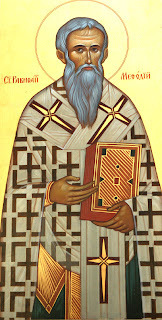 Today is the feast of a very popular saint among monastics — St. Theodore the Trichinas. 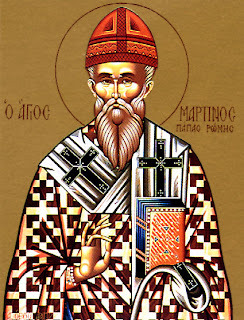 The title Τριχινᾶ refers to his practice of wearing a hair shirt. He grew up in a pious family, chose the monastic life and entered into one of the monasteries in the imperial city of Constantinople. He wore the hair shirt the rest of his life. 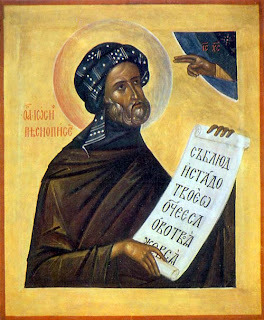 For me, the most interesting part of St. Theodore’s story happened several centuries after his death in the late 4th/early 5th century: a liturgical poem called a Canon was composed for St. Theodore by one of the great hymnodists of the Orthodox Church, St. Joseph the Hymnographer. The word “passions” has as its root the Greek πάθος which is the root of the English word pathogen and has the connotation of disease. A divine spell which breaks or deflects arrows or attacks from creatures of evil. I wish I had more time to play with some of these ideas. For those not staring down the end of Lent and Holy Week, maybe some of these will inspire something more than a bullet point. Today is the feast of St. Martin the Confessor. He was born in Tuscany in the 7th century. 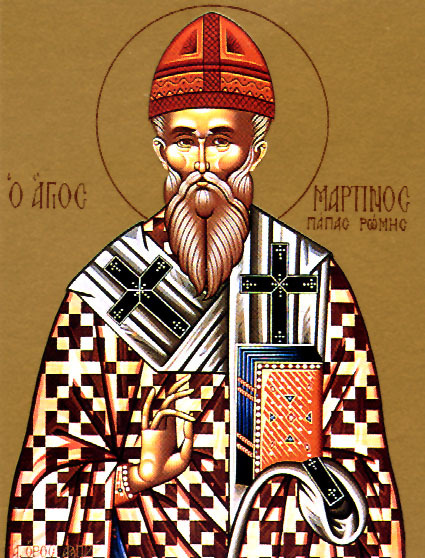 Prior to being elected as bishop of Rome, he served several years as a papal legate in Constantinople. During the reign of Emperor Constans II (A.D. 641-668), St. Martin was encouraged by the emperor to support a theological treatise called The Typos. Not only did St. Martin not support it, but convened a Lateran Council in 649 to condemn it. The Typos espoused a heresy called Monothelitism, which held that there is only one will and energy in Christ. This runs counter to St. Gregory the Theologian’s axiom that whatever part of humanity Christ doesn’t assume as His own isn’t saved. Thus, under Monothelitism, our will and energy are not saved because they are not part of Christ’s humanity. To put it simply: the salvation of a Monothelite Christ is incomplete. As a result of his defiance, St. Martin was arrested in A.D. 653 under false charges (conspiring with the Saracens) and exiled to Cherson on the Black Sea. He died there two years later. Given that so much of St. Martin’s life is centered around Rome and Constantinople, it has me meditating upon one of the campaign tropes that I personally have the least experience with: The City. There was a brief period where I toyed with the idea of an urban campaign, but it proved to be short lived. It is a style of play that requires a level of detail that I am not good at, nor is it the easiest medium for the improvisational style I prefer to play. Of course, The City State of the Invincible Overlord was never something that I or any of my friends owned back in the day. For those unaware, Judges Guild just released The Guide to the City State which is Bob Bledsaw’s original in-house 1976 edition. Though a delightful read, (I especially find it fascinating that many of the rumors to be found are about events that are supposedly occurring right now), I am not convinced that had my friend’s and I had access, that we would have had any more interest or success in urban campaigns. The Invincible Overlord is portrayed as an inaccessible, untouchable and indifferent ruler whose only real interest is maintaining power. In contrast, the denizens of dungeons and wilderness areas are tangible things that can be encountered and overcome, if need be. I can understand the need for an Invincible Overlord — it simplifies the urban environment by keeping things at the immediate street level; however, I know my friends and I would have preferred a campaign that would allow us to be like St. Martin — to stand defiantly against the unjust rule of the Overlord/Emperor. Unfortunately, this adds a level of complication to the urban environment that is much easier to handle in the classic dungeon/wilderness campaign. In the former, politics can color every single aspect of the game, and keeping track of all the various factions can be a real headache (at least for me) — even when the players are not that much interested. 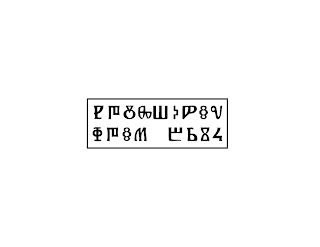 In the latter, politics can be kept at a background noise level until such time that the players choose to scratch that itch, by which time they have probably established strongholds or are seeking places to do so. As such, the political situation can be very simplistic and even binary. Thus, whereas St. Martin’s life took place in urban environments with complex political issues, being able to emulate his conflict with Emperor Constans II is much easier in context of the classic dungeon/wilderness environment. Today is the feast of St. Methodius, Equal to the Apostles and Archbishop of Moravia, Enlightener of the Slavs. 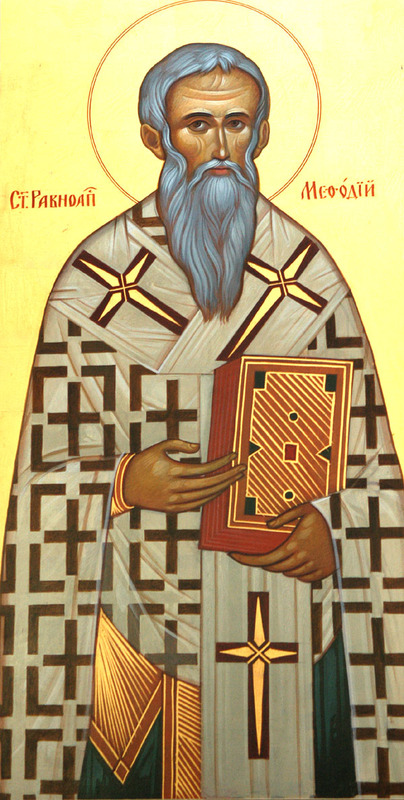 This ninth century saint was born into an illustrious family in Thessaloniki along with his younger brother Constantine (who would become known as St. Cyril). Early in his life, he served as a soldier in a Slavic speaking region dependent upon the Byzantine Empire. 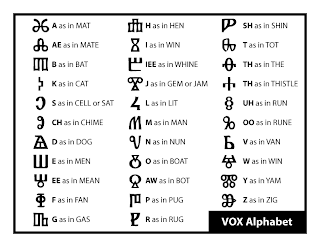 This is where he most likely learned to speak Slavonic. After serving for about 10 years, he received a monastic tonsure and retired to a monastery at Mt. Olympus, where he was joined by his brother Cyril. These two brothers, however, were soon summoned to become missionaries to the Slavic peoples, due, in large part, to the knowledge St. Methodius had of their language and culture. 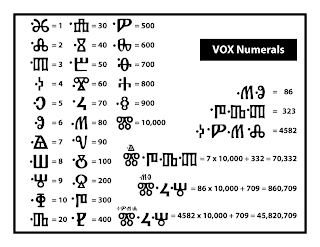 The two brothers would go on to translate the Gospel, Epistles, Psalter, and collected services, into the Slavic tongue using an alphabet they devised based upon what knowledge they had of the Slavic written language. 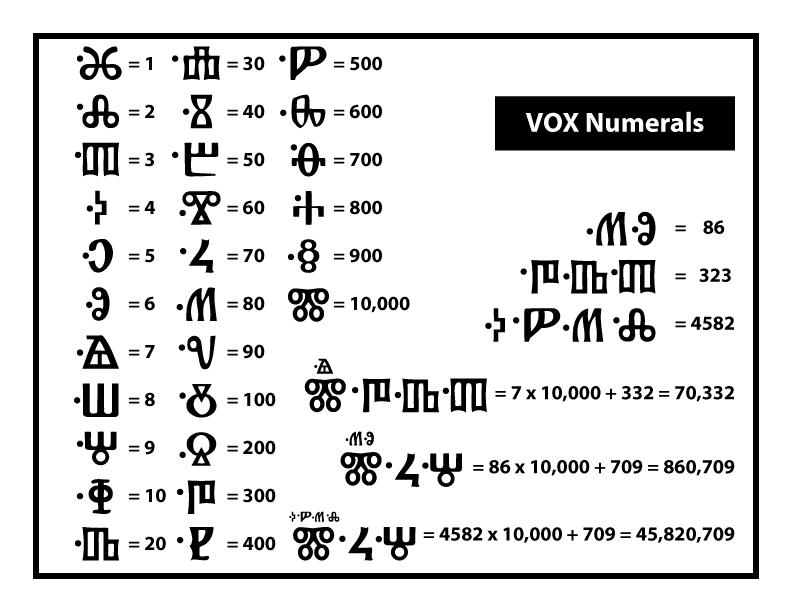 This alphabet is known as Glagolitic. 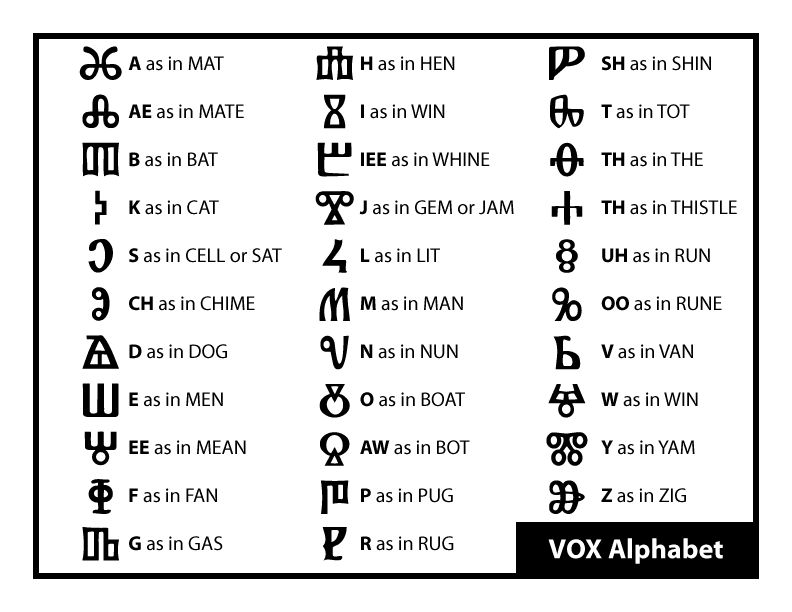 Their disciples would later refine the alphabet and it would become known as Cyrillic (after St. Cyril) and is still the alphabet used in the national languages of Belarus, Bosnia and Herzegovina, Bulgaria, Kazakhstan, Kyrgyzstan, Macedonia, Mongolia, Montenegro, Russia, Serbia, Tajikistan and Ukraine. St. Methodius would spend the rest of his life in conflict with German bishops over this and other issues. 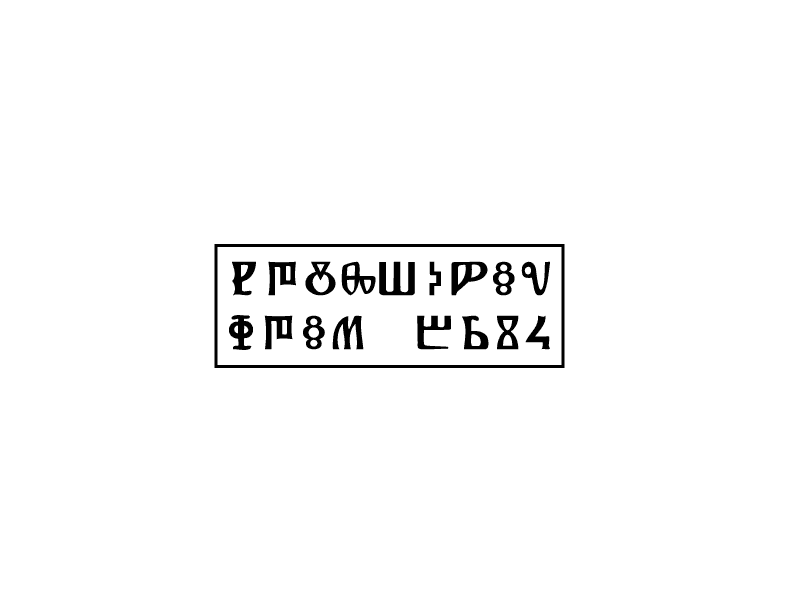 He died on this day in A.D. 885. Thus, these two saints stand as champions of preaching the Gospel in the language of the people. Anyone who insists upon a particular language or particular translation (in the case of English) stand in contradiction to these two great saints. Thus, I am sore tempted to play with language. Besides the normal treasure map or riddle that would look cool using VOX, I also think it might be fun to introduce new spells using VOX. When a player finds a scroll, hand them the spell and its mechanics in VOX. Personally, I would find such a spell a whole lot more precious because I would have earned it. I first encountered the idea of weighted Wandering Monster Tables in the MMII, where encounter tables were designed to use 2 dice (1d8+1d12) to produce a number from 2-20. Due to the bell curve produced by this set-up, it is possible to arrange WMTs based on frequency — Very Rare, Rare, Uncommon and Common. Recently, I have been meditating upon a different way to weigh a WMT based upon time. For years, my mom has had a bird feeder on her porch. In that time, she has noted that there is a general pattern as to when a type of bird is most likely to be feeding. It isn’t identical every day, but there are times when there are types of birds that will not be there. One might use such a concept in a dungeon or wilderness area where the longer one stays, the more dangerous it gets because bigger and badder monsters come out to play. This could also be used in an area being contested by different factions. During the first part of a day, each side is preparing and planning, therefore most encounters at the beginning of a day will simply be one faction or another; however, later in the day (when these plans come to fruition), most encounters will find the factions in combat with each other. To use the table, roll 1d12. For every hour spent in the area add an additional +1 to the roll. Thus, if a '10' is rolled for an encounter with an adventuring party that has been in the area for 4 hours, the final result will be 14 (10+4). If the party has just arrived and has yet to spend an entire hour in the area, nothing is added to the roll. Using this method, such a table could represent an 8-12 hour period of time (where 19 slots = 8 hours and 23 = 12 hours). This would allow for the above process to be reversed with a 12 hour table (the 8 hour table would sit on the low end or high end of the table for several hours). Alternatively, one could add the bonus for every 2-3 hours and have the whole process cover a 24-hour period. 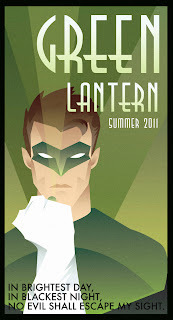 This weekend, I finally got around to seeing the 2011 Green Lantern movie. I had been avoiding this due to the bad reviews it received and my own immense distrust of everything Hollywood. 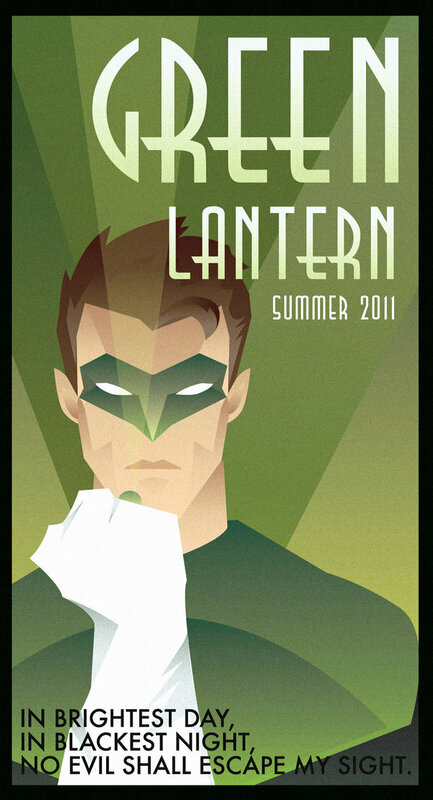 Green Lantern has a special place in my heart because my first real exposure to the medium of the comic book came through a bunch of Hal Jordan stories. I have to admit, I was pleasantly surprised, but for a completely unexpected reason, because the reviews were right — this was a deeply flawed movie. The reason (unsurprisingly) is theological: The Green Lantern Movie is an excellent primer on the Christian heresy of Arianism. It beautifully illustrates the basic tenets of its beliefs, what those beliefs look like and, ultimately, its fatal flaw. The first is magnificently illustrated by the fascistic overtones of the GL Corp led by the charismatic Sinestro: What is evil? In a world where the Guardians are willing to make a weapon like the Yellow Ring and the leader of the GL Corp is willing to use it, evil devolves into the relativism of whoever owns the biggest baddest weapon and is willing to use it gets to determine what is good and what is evil. Historically, the biggest proponents of Arianism were the Emperors for exactly this reason. The second is wonderfully embodied by the movie’s main villain Paralax. According to the movie, Paralax is one of the Guardians who became overwhelmed by the yellow energy of fear and subsequently became a threat to Oa and the the Guardians themselves. I hope I won’t spoil anything for those who have yet to see the movie, but Paralax is ultimately destroyed by being lured into the sun. All of this demonstrates the ultimate problem of Arianism. Though they are immortal and grant access to Will, both the Guardians of Oa and the Arian Christ are created beings. Ultimately, this means that they have a beginning and an end. Therefore, we gain nothing by uniting ourselves to them, other than a very temporary access to power. In the end, we all end. This is why the Church fought so vigorously against Arianism in the fourth century. It completely undermines the true Gospel — God Himself became a human being in the person of Jesus Christ so that we might overcome our end and share in Christ’s eternity. Therefore, I really liked this movie (despite the fact that in just about every other aspect is was barely average). It goes to show that the politically correct assumption that all religions are basically the same and that those of us who believe in some kind of divine being are all just going to end up in the same place by different paths is itself fundamentally flawed.